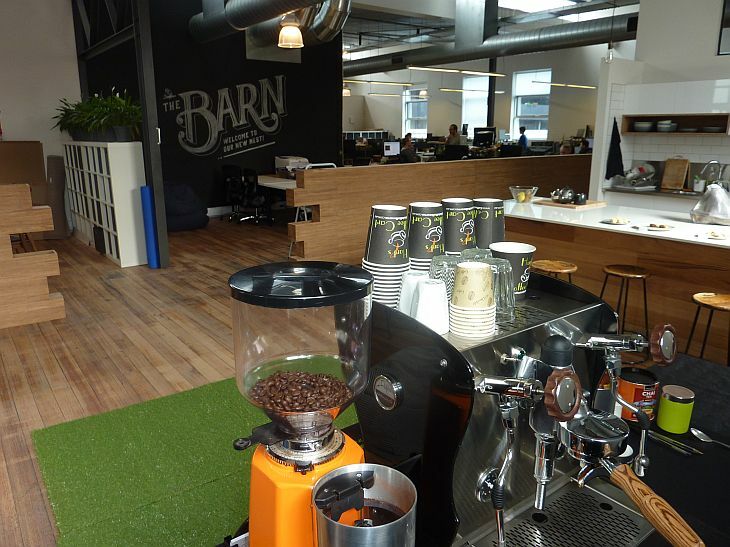 Recently we had the pleasure of providing our coffee cart hire service to Melbourne business Bellroy. Bellroy have an outstanding working culture that sees work and play merging together. Their offices are very sleek and homely creating a very comfortable environment to be in. All the staff are coffee lovers hence our presence onsite was welcomed as soon as we loaded our coffee cart in. Throughout the morning we had a steady flow of staff visiting the coffee cart to order their favourite coffee beverage including one lady who’s preference was to use coconut milk in her latte. We couldn’t help but make one for ourselves and were pleasantly surprised with the combination with espresso coffee. The coffee cart in the above images is our smaller cart that can be set up anywhere including loaded in up steps and stairs when lift and ramp access isn’t available. The small coffee cart can still handle around 70 drinks per hour and is suited to guests numbers of around 50-70. We would like to thank Bellroy for having us onsite for the day to provide our coffee cart hire Melbourne service to their staff and guests. 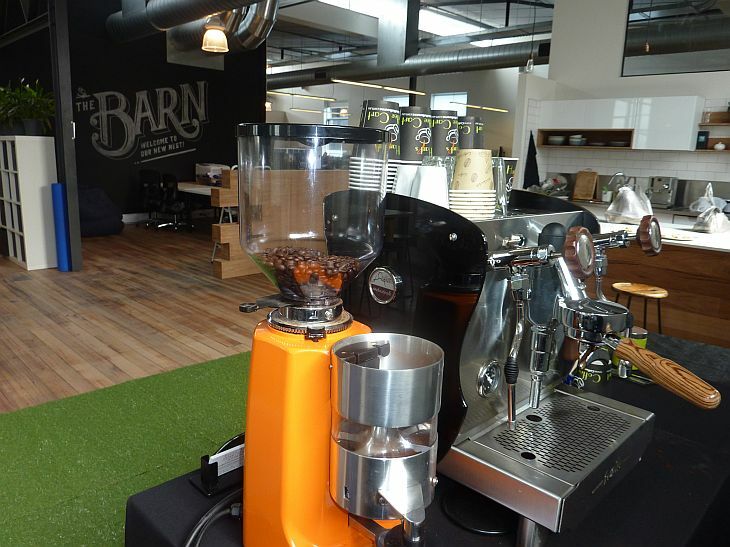 We had a great time onsite and loved talking all things coffee with everyone on the day. 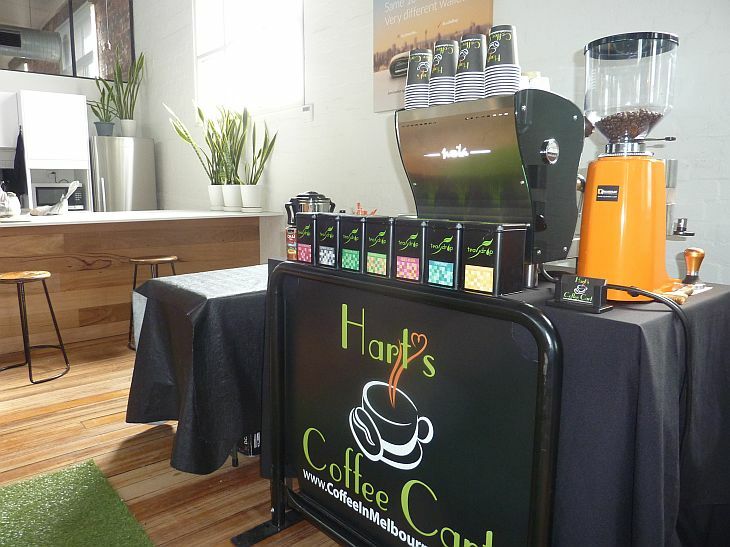 To book our all inclusive mobile coffee cart hire service for your next function or event in Melbourne, head over and fill out our quick quote form and we will be in contact shortly. Also be sure to head over and like our Facebook page here to keep up to date with our travels in and around Melbourne.